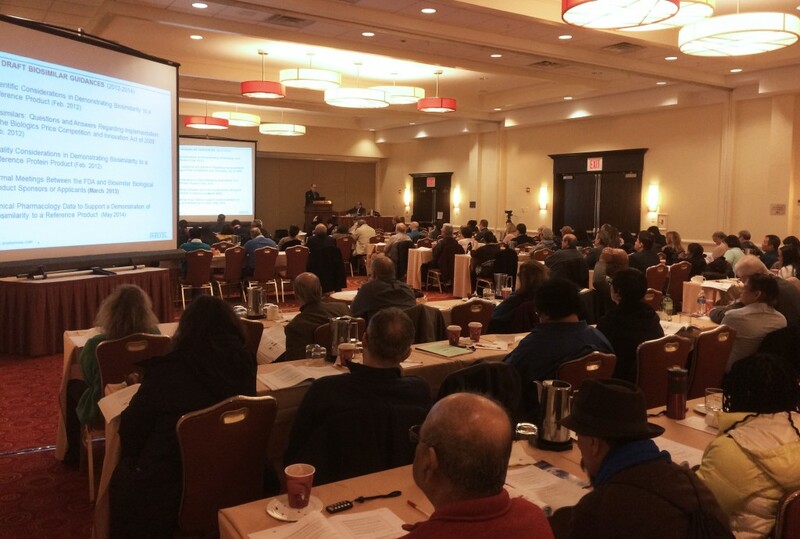 With the U.S. Food and Drug Administration’s (FDA) announcement of the first biosimilar approval, on March 15th, the Alliance for Safe Biologic Medicines (ASBM) held a five-hour class offered through the Long Island University (LIU Pharmacy) to educate pharmacists on the fundamentals of these breakthrough new medicines. 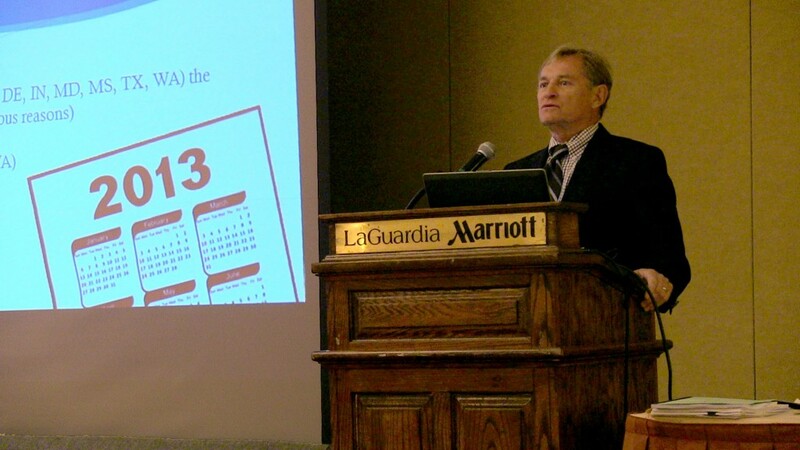 The continuing education (CE) class, “The Fundamentals of Biosimilars: What Every Pharmacist Will Need to Know,” was held at the New York LaGuardia Airport Marriott and explained what biologics and biosimilars are, how they are manufactured and regulatory challenges associated with them.The class discussed the basic science and manufacturing of biologic medicines; the clinical implications of the key features of biologics size, complexity, sensitivity/propensity for change that distinguish biologic medicines from chemical drugs; their difference from generic drugs for purposes of patient care, pharmacovigilance, and pharmacy practice; and the important regulatory and policy considerations – that many state capitals are currently legislating across the country.Speakers throughout the day stressed the need to ensure patient safety and the importance of physicians and pharmacists working together to ensure that safety. 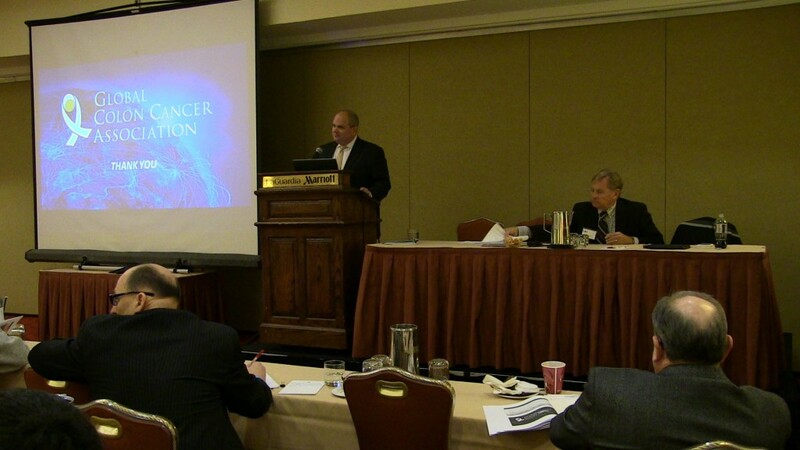 ASBM Chairman and pediatric rheumatologist, Dr. Harry Gewanter and Global Colon Cancer Association Executive Director Andrew Spiegel provided a physician and patient perspective and Bruce Babbitt, PhD, Principal Consultant, PAREXEL Consulting gave a regulatory overview for the students taking the CE class. Ronald P. Jordan, BPharm, RPh, FAPhA, Dean, Chapman University School of Pharmacy spoke on the importance of the evolving role of pharmacists as biosimilars are approved. In his presentation, Philip J. Schneider, M.S., F.A.S.H.P., Professor and Associate Dean for Academic and Professional Affairs, University of Arizona College of Pharmacy and ASBM International Advisory Board Chair, focused on the critical importance of communication and the need for physicians and pharmacists to work together. In his presentation, “Biosimilar Substitution: A Collaborative Approach to Pharmacovigilance,” he said that working in collaboration with physicians and notifying them if a patient receives a different medicine than what was prescribed, will create a stronger track and trace system where the medication’s efficacy can be assessed and proper attribution will be ensured in the case of an adverse event. He also stressed the importance of continued education for pharmacists, physicians and patients for these lifesaving medicines. 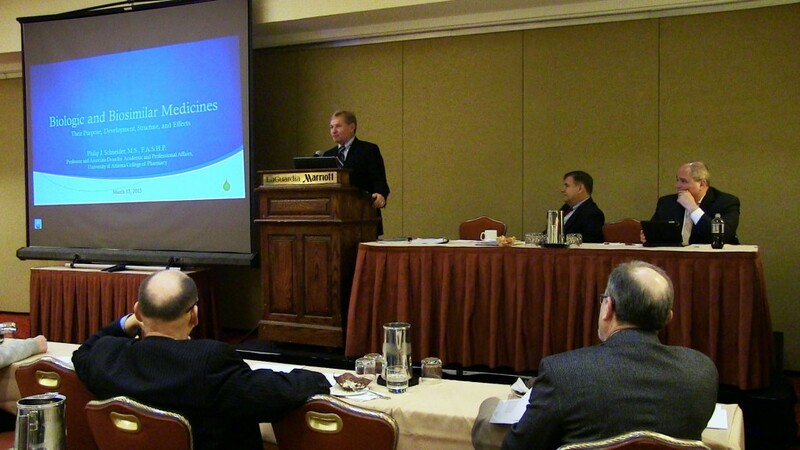 ASBM hopes this is the first of many forums to work with the pharmacist community to ensure patient safety. In this presentation, Dr. Schneider outlines a brief history of biologic medicines, how they differ from traditional chemical medicines, identifies concerns about their sensitivity during manufacturing, handling and preparation. The concept of biosimilarity is explored and the issues of interchangeability and naming are introduced. View the presentation here. In this presentation, patient advocate Andrew Spiegel examines the value of biologics and biosimilars in extending and improving the lives of patients around the world who suffer from serious conditions such as cancer. Mr. Spiegel explains the importance to patients of increased access to biosimilars, and of good communication and collaboration between their pharmacist and physician in regards to biosimilar substitutions, and use of distinguishable naming. View this presentation here. Drawing from three years of prescriber surveys conducted by ASBM in seven countries, Dr. Gewanter shares physician perspectives on biosimilar naming and substitution. Emerging issues in biosimilar naming are discussed, including FDA approval of the first U.S. biosimilar, and ASBM’s work with the World Health Organization to develop global naming standards. Physician-pharmacist cooperation is emphasized as key to good pharmacovigilance. View this presentation here. Biologics regulatory expert Bruce Babbitt provides a detailed explanation of the development process for biologic medicines, with an emphasis on trial design and what type of data is required to demonstrate safety. 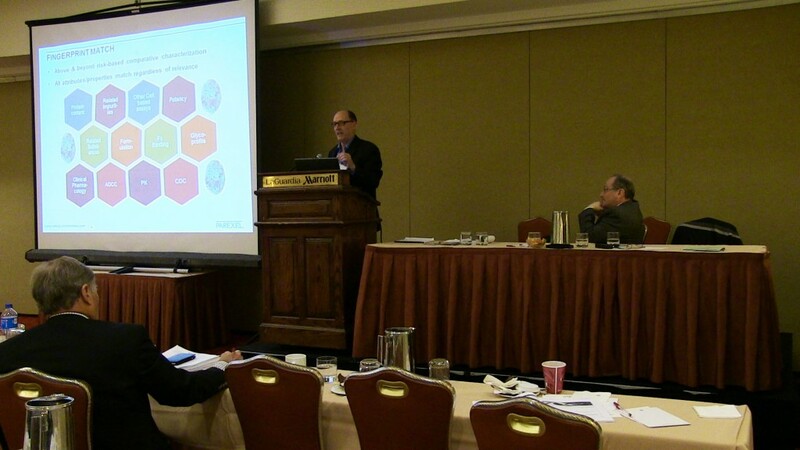 How biosimilarity is demonstrated in Europe and Canada is discussed, as is FDA’s current and upcoming guidance. FDA’s first biosimilar approval is discussed, and updates are given on several other biosimilars in the FDA approval pipeline. View this presentation here. Professor Schneider discusses how different U.S. states are approaching the question of determining under what circumstances a pharmacist can substitute an interchangeable biosimilar in place of a prescribed biologic, and what type of information must be recorded. 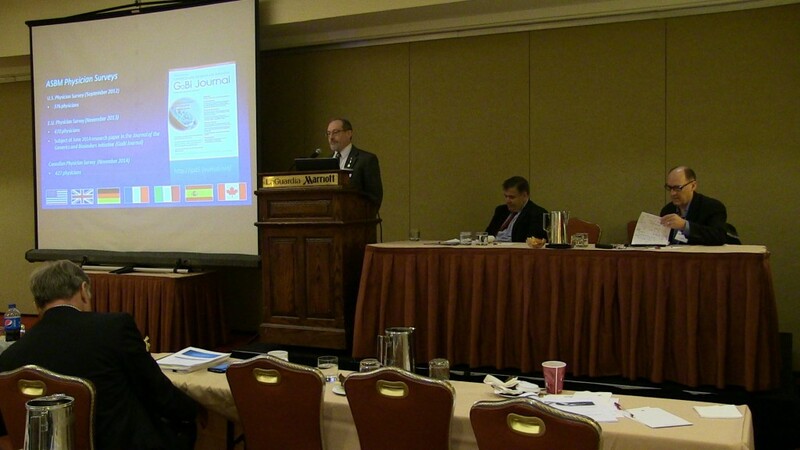 An overview of recent legislation is provided and compared with approaches in Europe and Canada. The importance of pharmacist-physician collaboration in answering these policy questions is emphasized. View this presentation here. Dean Ronald P. Jordan examines the changing roles and responsibilities of the pharmacist, and how biologic medicines offer increased opportunities for engagement and collaboration among patient, physician and pharmacist. The value of this cooperation is examined in terms of improving quality of care, reducing medication errors, and controlling costs. View Dean Jordan’s presentation here.